This weekend Forrest and I headed off to Montgomery for the wedding of my friend Sarah, but not before we had "supper club" on Friday. This month we were having a dinner "outing" instead of cooking at someones house. Forrest and I chose Bennett's Steakhouse in Cave Springs, GA. Unfortunately, we were unable to borrow my dad's Suburban so we all couldn't ride together. I think it was really fun, anyway, because we had a "girl car" and a "boy car". I am pretty sure that the conversations were very different in each car! I really had fun catching up with Farrah and Denise on our girls' only drive! Cave Springs is a tiny town right over the GA line and the downtown is super cute! We got there about 9pm their time so it was pretty empty. Our dinner was good and the white chocolate caramel pecan cake was to DIE for! 1/2 way eaten, but still worthy of a picture! Saturday was Sarah's big day so we got ready early and headed down south. Not only was I excited to share in Sarah's special day, but I was also thrilled to get to see some of my favorite girls--Jennifer and Shelley! I knew Jennifer and Shelley a little bit in college but we became friends in law school. Jennifer was in my "section" and so we had every class together for an entire year. Shelley transferred to Alabama our 2L year and she, Sarah, and I survived Immigration Law together. Sarah also was in the section with Jennifer and I and we all became fast friends. I actually knew Sarah from back when we were Juniors in high school and we attended Girls State together. Imagine my surprise when she walked into law school orientation, 5 years later! 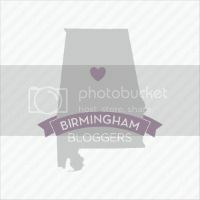 I talk to the girls fairly regularly but I don't get to see them near as often as I would like, so I was bound and determined to get myself to Montgomery! Sarah's wedding was at Trinity Presbyterian church. The church itself was beautiful and Sarah was the MOST gorgeous bride! I really liked the service, especially that it started with the minister inviting us all to join together in a hymn after Sarah walked down the aisle. I had never been to a wedding where that was done and I thought it was very sweet! Her reception was in the hall of the church, and don't you be fooled when I say "hall". This "hall" was amazing! It had like 30 ft ceilings, beautiful carpet, moulding everywhere. I have never seen a room quite like it! Sarah and Brent looked so happy and I wish them both the very best! Close up of the cake. The top layer was so beautiful! After the wedding, Forrest and I headed home, but we stopped at the Bass Pro Shop first. I had never been and WOW--what a store. Now I am not very "outdoorsy" but Forrest really is. He gets me out of my shell and encourages me to try new things all the time, so I am letting myself become "outdoorsy" one step at the time. The store had a fish pond, a huge aquarium, and the best part to me: BOATS! We both had a great time inspecting all the boats and picking out the best ones! Sunday was a nice day as well. We had lunch at the Bailey's, and Davis made us a new recipe: Salmon with Rotini. It was a typical Sunday afternoon filled with cleaning and errands (and maybe some TV thrown in there too) before dinner at my parents'. Dad made a chateau briand, which is like a tenderloin. It was some of the best meat I have ever eaten!! We are so lucky to have such adventurous cooks in our family, willing to cook for us! Have a great week!!! Ruff and Stella waiting for some treats! My sweet little Sonny, who had an accident this weekend, but he is just fine!